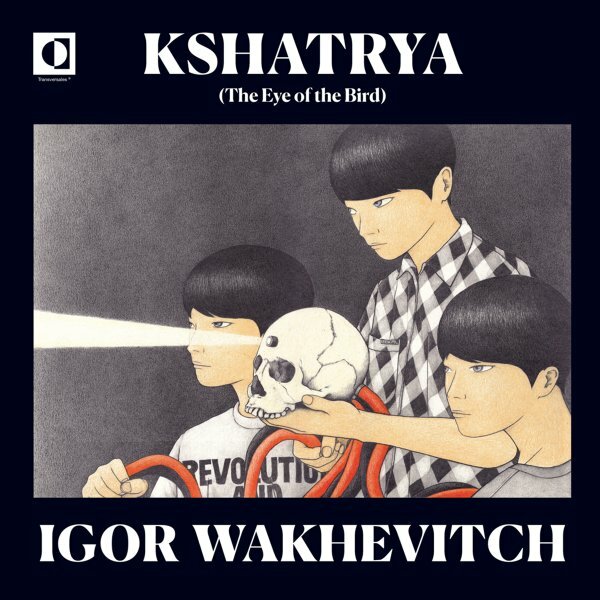 A really haunting record from French composer Igor Wakhvitch – better-known for his more way-out material, but sounding equally great here on an unreleased instrumental set from the end of the last century! The music was composed on his "Mysterious Island 88" system of electronics – supposedly from the Poppy Nogood library – and the tunes open up with this slow-building flow and dark-edged sense of space that really fits the image on the cover. The work feels much more like a late 70s/early 80s electronic score than you'd guess from the date – very much like those moments when earlier European electronicians created soundtracks for more offbeat cinematic moments – but the set's also filled with very long tracks that are very enjoyable on their own – not short musical cues, but long extrapolations that include "The Roarer The Entry Of Darkness The Guardian Of The West", "Love Song To Ekalavya", "The Golden Night (parts 1 & 2)", "27th September 1942 Train No 38", and "The Ride Of The Makara". © 1996-2019, Dusty Groove, Inc.